Poland’s Incumbent President Bronislaw Komorowski has conceded election defeat to challenger Andrzej Duda following the release of exit polls. The exit polls suggested conservative Andrzej Duda had taken the run-off vote by 53% to 47%. 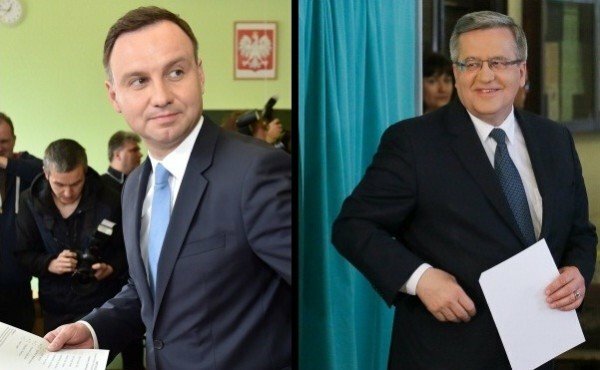 Andrzej Duda had edged Bronislaw Komorowski, who had been the favorite, in the first round but did not gain the 50% needed to win outright. Poland’s president has limited powers, but is head of the armed forces and can veto new laws. The exit polls had been delayed after a woman died at a polling station on May 24. Official results are expected on May 25. Bronislaw Komorowski told voters at a gathering of his supporters: “I respect your choice. Speaking to supporters in Warsaw, Andrzej Duda said: “Thank you President Bronislaw Komorowski for the rivalry of this presidential campaign and for your congratulations. The victory will be a wake-up call to PM Ewa Kopacz, an ally of Bronislaw Komorowski, ahead of parliamentary elections this autumn. Bronislaw Komorowski, 62, took office five years ago after his predecessor, Lech Kaczynski, died in a plane crash. He had been the favorite according to previous opinion polls and had been looking for a second term. Andrzej Duda, 43, is from the right-wing opposition Law and Justice party, which is led by former President Lech Kaczynski’s twin brother, Jaroslaw. In the first round Andrzej Duda attracted most support in the more conservative eastern regions of the country, near the border with Ukraine and Belarus.